Can condominium homes be more than a ‘stamped-out-of-a-box’ cookie-cutter structure where ‘personalization’ goes beyond 11 color choices of carpet and 7 countertop selections? Is it possible to create a luxury condo home which is an extension of you? A place which is a composition of extraordinary spaces and unique products. A place which not only ‘documents’ your past, but creates memories for your future? A place close to a vibrant city – but far enough away you’re not fighting crazy-traffic every day? Does this vision sound nirvana-esque (not actually a word, but I’m going with it), utopian and idealistically impossible? If you think so – think again. In the 5 tips below, we’ll take a journey through the home of Larry Koltys and Dottie Lewis, which was built by Jerry Sarno of Deer Path Farms. We’ll look at some thought-provoking luxury home building tips which highlight fun and inventive products. At the end of this article I’m going to ask you to ‘cast your ballot.’ No, I’m not asking you ANYTHING about your political affiliation. I would like to get your ‘vote’ on which product or feature in Larry and Dottie’s home you find the coolest. I wish I could tell you Larry would turn over his home to the winner of this contest his new home – but I already asked him. He told me no. Bummer! I do have my favorite feature which I’ll unveil at the end. 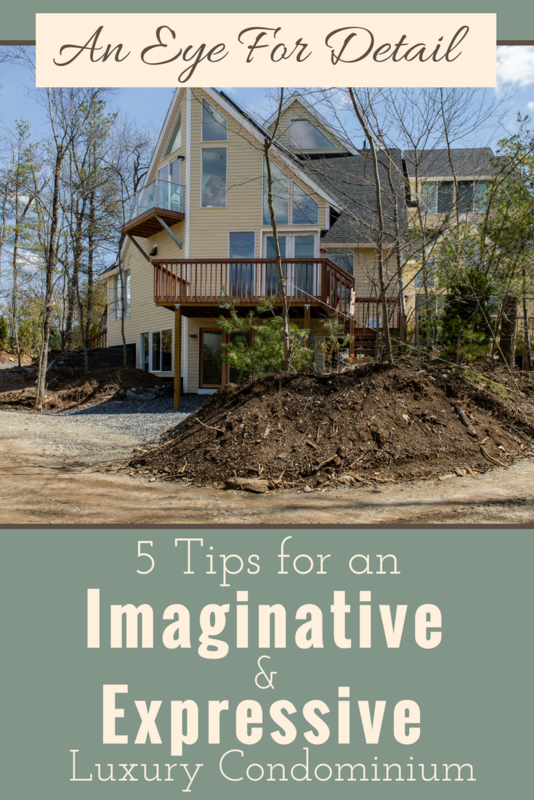 OK – let’s check out 5 tips for an imaginative and expressive luxury condo. You’ve reached the stage of life where you’re not afraid to express yourself. You’ve reached the stage of life where you’re not going to put up with bad design. You’ve reached the stage of life where you can finally spend some money on you, your wife or significant other (not just the kids anymore). 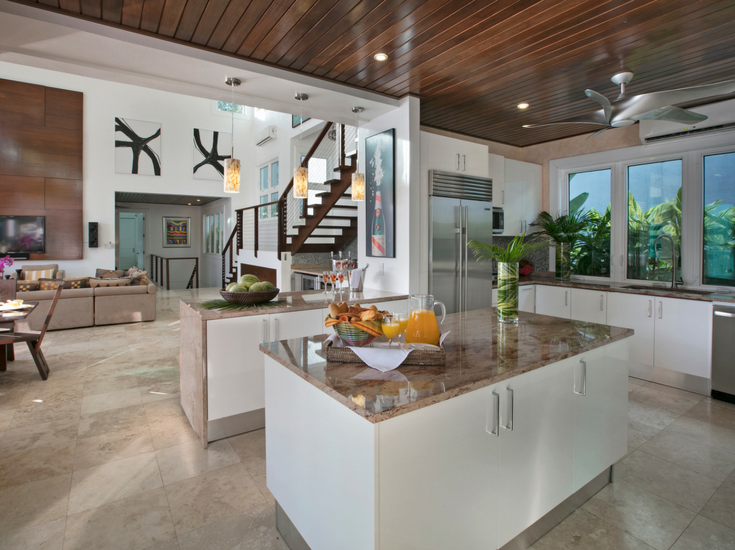 These qualities of expressing yourself, demanding remarkable design and having a few dollars to splurge on yourself, fit homeowners who use glass flooring and glass stairs to a tee. If they were looking for cheap, boring and run of the mill they WOULD NOT be installing a horizontal glass feature. 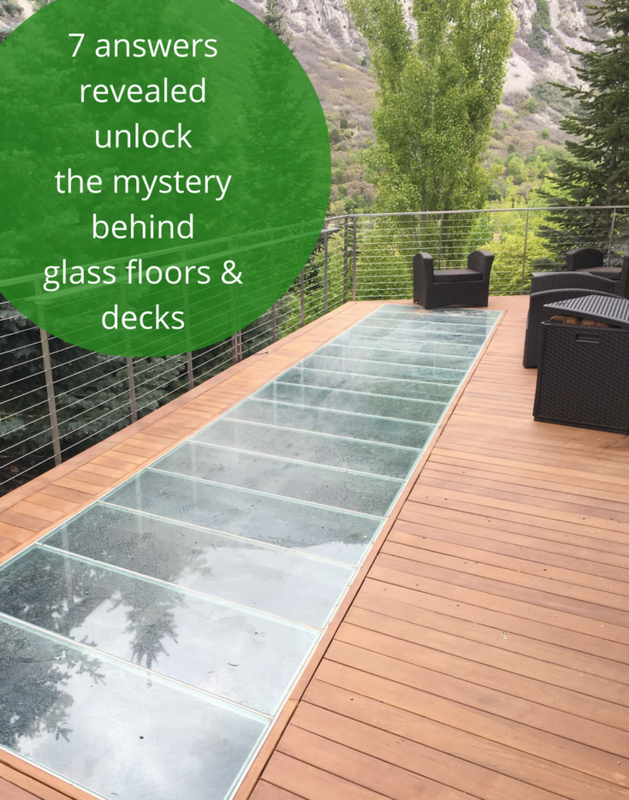 Yes – owners of glass floors will use glass bridges and decks for ordinary reasons (moving light from one level to another)– but usually they are installing this product to create an extraordinary experience. And when you look at it– shouldn’t life be about creating extraordinary experiences anyway? If you’ve ever walked on the glass floors at the CN Tower or the Tinamen Mountain in China, you’d know ‘pedestrian’ would not describe that experience! Wild, wow – (or, it could make me pee my pants) would be more fitting – depending on your perspective. 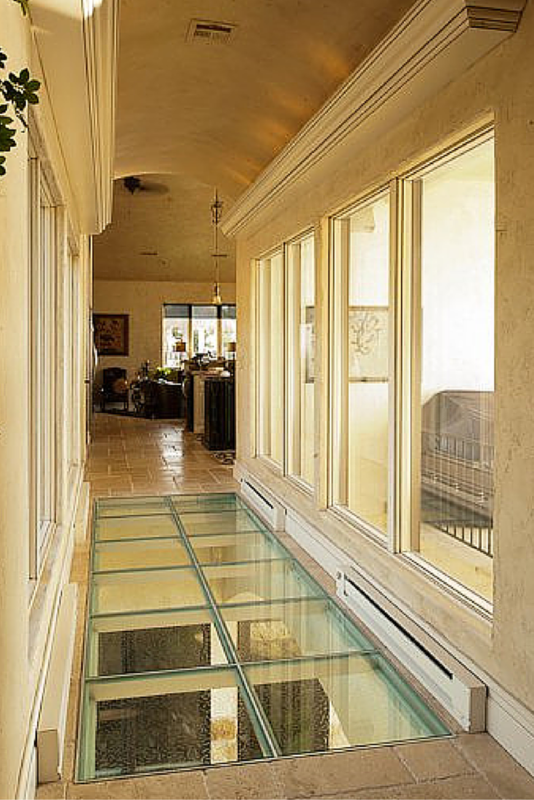 While glass flooring is a remarkable product, many people are confused by them. IMHO (In My Humble Opinion)– they are a ‘Ripley’s Believe It or Not” flooring system if there ever was one. In this article I’d like to take you on a ‘glass floor and stairs’ walking journey. 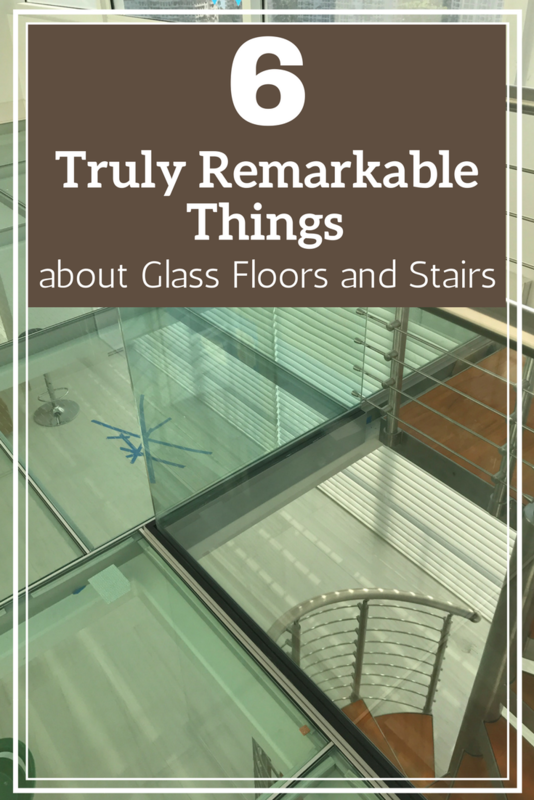 You’ll learn 6 things which are truly remarkable about glass floors and stair treads. At the end there will be a quiz. No, it won’t be the dreaded ‘pop quiz’ you sweated over in Junior High math class. In this quiz, I simply want you to tell me which of these 6 points is most remarkable to you. Now – let’s step out onto the glass floor ledge (sounds exhilarating and scary – doesn’t it?) and see what’s so cool about these floors. For some a home can be viewed as a pile of sticks, bricks and shingles – a dwelling, a simple roof over your head. For others (like Sandy and Jeff Alexander of Stonington Connecticut) a home is much more. It is the hub of family life, an extension of who they are and of what they value. You may be wondering how can people view their homes so differently? I believe is tied into connection with your surroundings, the importance of family life and how you want to interact with the world around you. 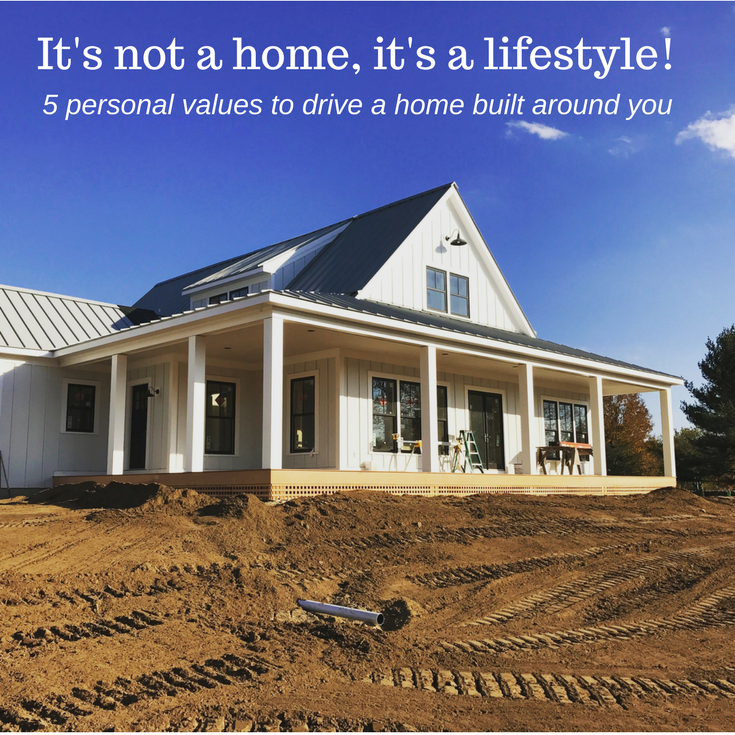 Are you looking for more than just sticks and bricks slapped up by “ABC Crank-It-Out Production Builders Incorporated?” Do you want a home which connects with who you are, with what you value? If so, read on to see how Sandy and Jeff incorporated personal values and a desired lifestyle into their modern forever home. Imagine after a long, tumultuous, stress-filled year you could leave all the anxiety behind, spending a work and social media free week relaxing in a hot tub in a contemporary vacation home. You’ll be looking out over one of the top 10 beaches in the world and putting your mind to rest with the love of your life. Does this sound like a wow experience to you? It certainly does to me, and I’m betting I could convince my wife Rose and kids Grant, Parker and Jade to come along as well without too much effort. 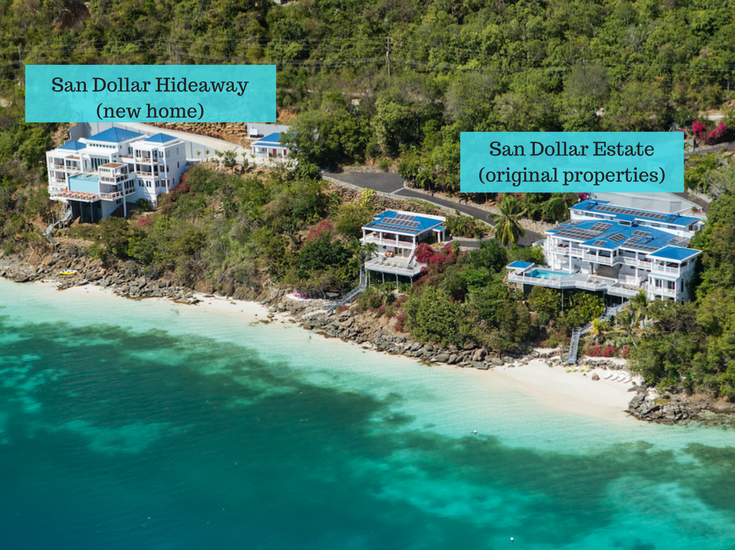 This experience is possible in the Sand Dollar Hideaway vacation home in St. Thomas. This home, owned by Suzanne and Steve Levine, was not designed to be “just any old vacation house.” It was designed and inspired by a not-too-flattering comment made by an Arabian prince to Suzanne 16 years ago. As the prince was getting ready to leave their original vacation home (see all 3 properties which are on this 2.5-acre property below) Suzanne asked the prince what he thought about his stay at their property (note – this home has been used by the likes of Hillary and Bill Clinton to Al and Tipper Gore) and he said simply to Suzanne, “It’s not a wow.” Ouch. For Suzanne, this comment really hurt. Imagine you’ve invested millions of dollars in a luxury property and someone would not think it was a wow experience! Fast forward 16 years. Suzanne and Steve decided to design and build a contemporary style vacation home on the balance of their cliffside land. The goal was to design this home to not only be enjoyed by their family, but could also to be used by previous guests of their other 2 properties (see an aerial view of all 3 properties below) and for special wedding and corporate events. But this would be no ordinary house. Suzanne and Steve not only invested millions more in this house – but more importantly they poured their heart, soul and design tastes into what they call the “new home.” They were determined this design would be a “wow”…. 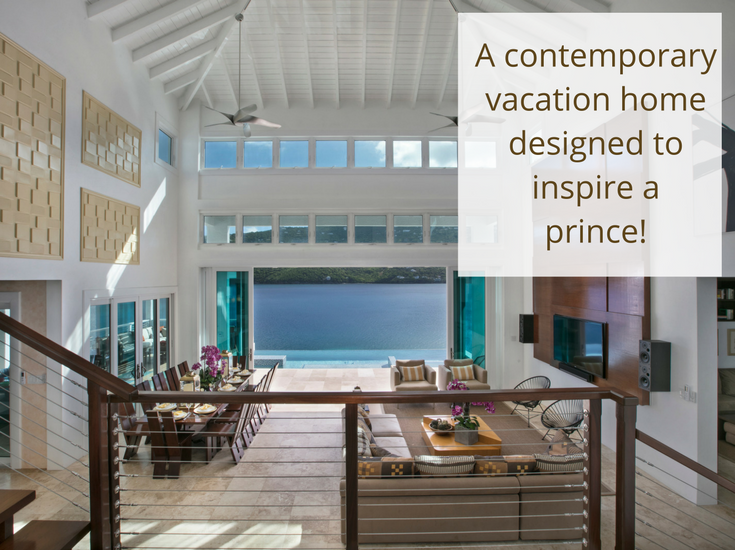 even for a prince with discerning tastes who could afford to come to the island and this property with his 2 private jets! In this article let’s take a behind the scenes look at 5 design and construction features which IMHO (in my humble opinion) you would be crazy not to say is a WOW! Let’s dig in. Nothing quite gets a debate stirred up like walking on a glass floor. They are cool, scary, fun, sleek, crazy, contemporary and stylish all in the same breath. The word which is no one’s vocab about them is – boring! If you’re looking to create an exciting, light-filled and dramatic design in a luxury home, professional workspace or public building which can move light (and your eye) from one level to another a glass flooring system is the ticket. At this point you may be saying, “Not so fast buddy – I’ve got a million questions about these floors before I would even consider using this crazy product!” If you said this you would not be alone. Glass floors are not well understood and viewed by some as risky and crazy. The fear of the unknown will do that to all of us. Have you heard the popular acronym fear is False Evidence Appearing Real? My goal with this article is to “take you behind the curtain,” to give you the straight scoop and reveal the answers behind the mystery which is the glass floor. 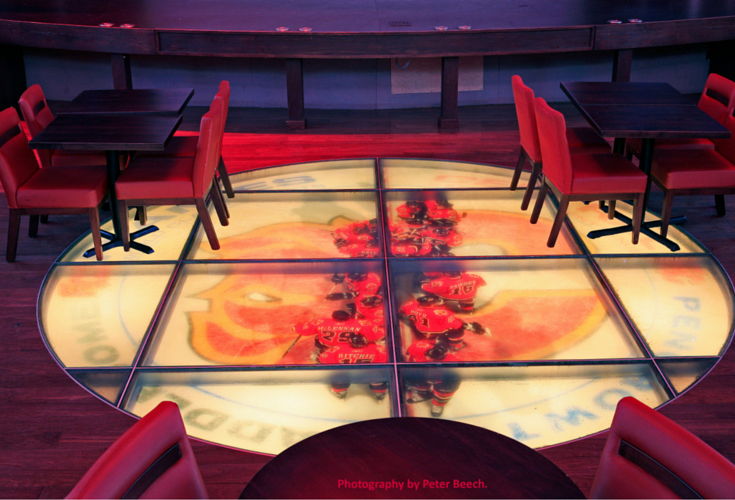 So strap it on and let’s step out “onto the ledge” and learn the answers to 7 questions about intriguing glass floors. When you think of words to describe the most outstanding bridges in the United States (the Golden Gate Bridge in San Francisco, Brooklyn Bridge in New York or the Sunshine Skyway Bridge in Florida) what words come to your mind? If I’m guessing right it might be exhilarating, breathtaking, fun, beautiful and maybe a bit scary. The word which is not in this list – boring. Now image a bridge which not only spans between 2 points but one you can see through – now that’s a wow! This describes a glass bridge. 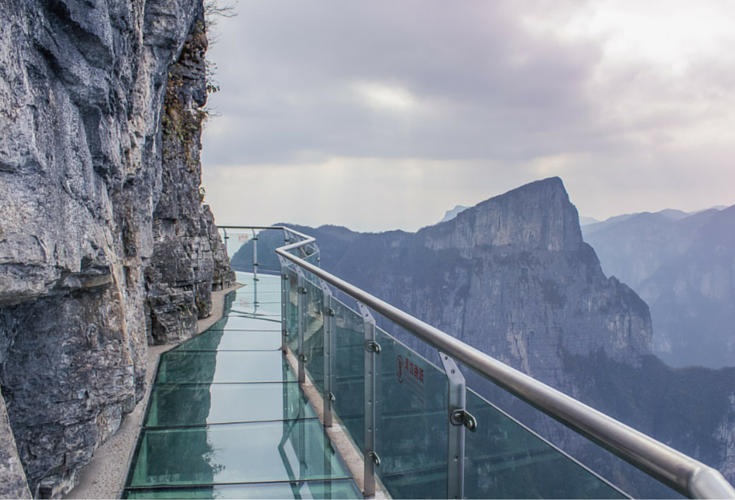 You many have heard or even walked on – if you were gutsy enough – some famous glass floors like the CN Tower in Toronto or the Tiananmen Mountain “walk of faith” (I have to say no thank you to this one!). You may be thinking why should I care about a glass bridge since my home (or business) is not trying to span over the East River, the Pacific Ocean or even capture a breathtaking (top down) view of a famous city? When you look at the basic benefits of any bridge they look to connect 2 spaces. In the case of the glass and suspension bridges and floors mentioned above they make the connection between 2 places with a dramatic flair which cements an experience in your mind. 1) Moving light through a glass floor – Perhaps you live in a row home in the city and the lower level of your home where you have your office is dark. A glass floor can help you move light into this space. Or perhaps you have a restaurant and want to get light into a lower level seating area – another distinctive advantage of structural glass. 3) Creating wow factor – You want to add colored light through a horizontal space to create a kaleidoscope of colors below. Now this is a wow feature not to be missed! In the article below I’d like to take you beyond the fun benefits of a glass bridge and dig into the design nuts and blots, safety, privacy and style considerations which make this product work in a luxury home or business. 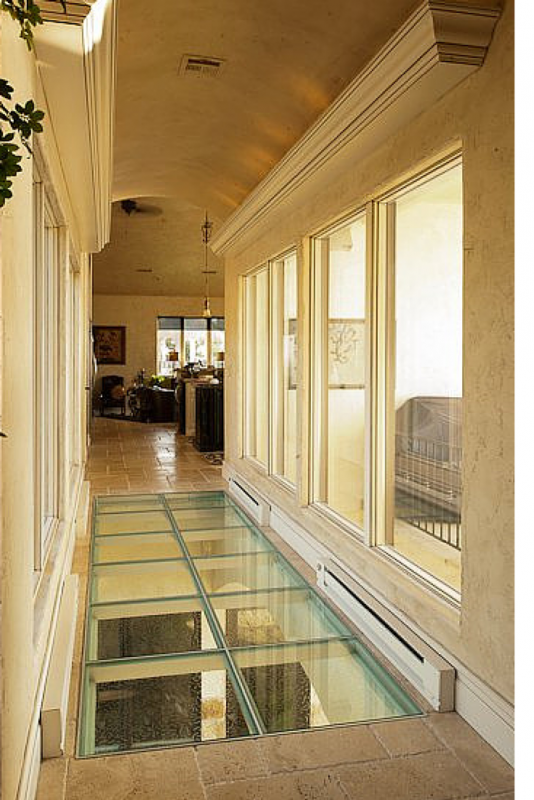 In the article below I will take you on a journey to dispel the common myths surrounding glass floors and bridges. I will also provide you with a quick glimpse of some fun things you can do in a contemporary home or commercial building with this versatile and distinctive material. These are just some of the questions I’ve been asked when designing a glass floor or bridge for an upscale home or a commercial business. This got me to thinking it would be helpful to create a simple step by step guide to help people through the process of selecting the right glass floor for their specific project. 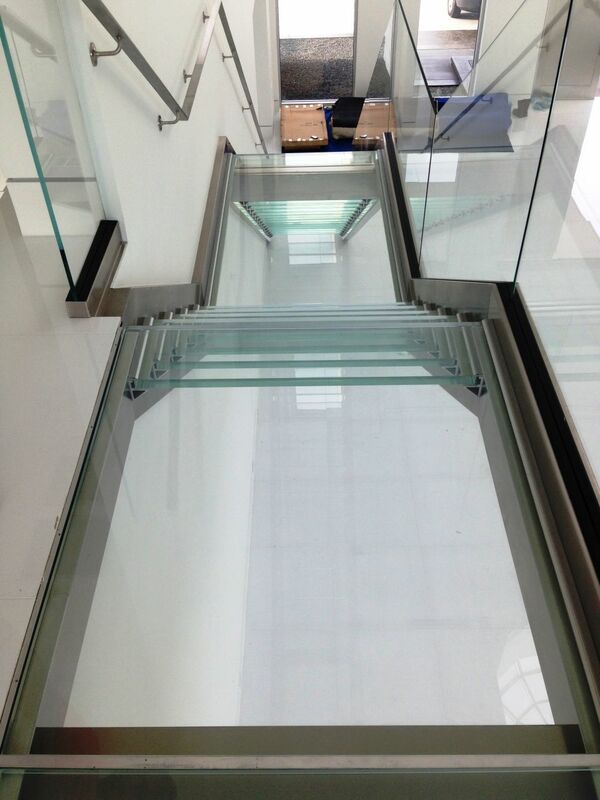 The 8 1/2 steps below can serve as a primer through the glass bridge or glass floor selection process. 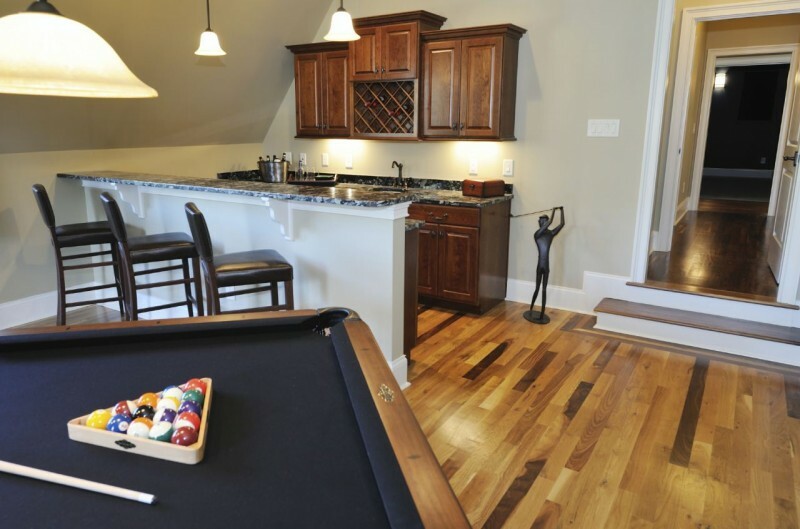 When you think of a basement (or cellar) what comes to mind? Dark, dingy, dirty or musty are some of the most common images. If you want to transform your basement into a man cave or a family friendly space one key will be proper lighting so the room’s lighting will work for any event, party or movie you want to watch. This article will look at 7 common – and not so common – natural and electrical lighting options to turn your scary basement into a place you’ll really want to hang out. There is something very cool – yet mysterious – about walking on a glass floor. 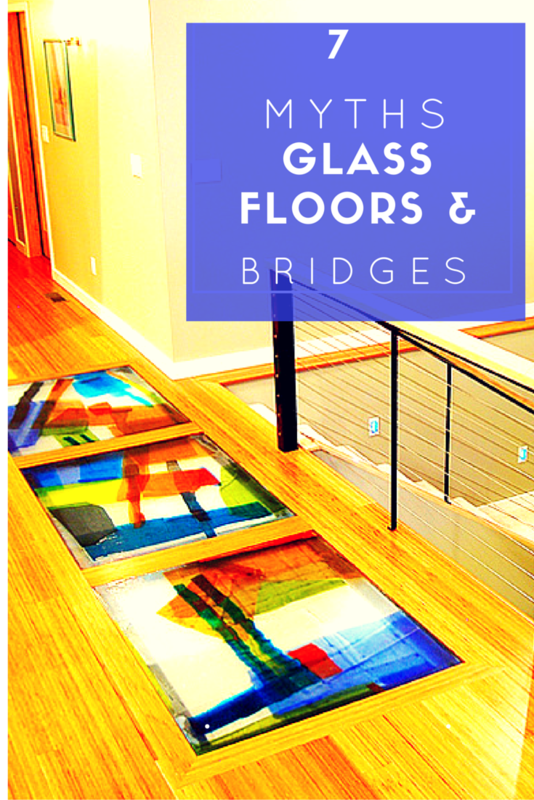 While the versatility of glass shows itself everywhere (from windows in the home, to drinking glasses, to eyeglasses to decorative art pieces) it’s certainly seen as strange novelty for most to step onto a glass walkway. 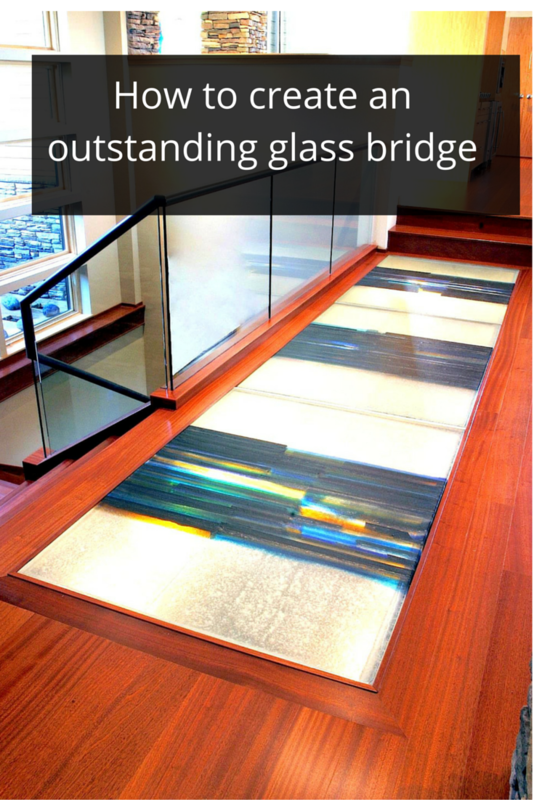 With the invention of advanced glass flooring systems (which typically incorporate glass pavers and laminated glass floor panels) it’s now possible to design distinctive glass floors, bridges and walkways. These applications are not only architecturally dramatic – but are safe, stylish and engineered to last – but there is a catch. The catch is to use these top 5 design tricks to maximize the benefits of your floor to get the best results. Let’s explore these 5 design tricks.